We’ve been adding new parts fast and furiously here and the latest addition to our inventory are gaskets for the 1970’s era Revere Ware 1574 and 1576 pressure cookers, which we’ve received quite a few requests for. 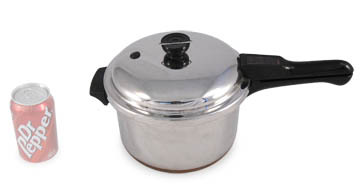 These pressure cookers are characterized by the pressure regulator weight that is similar in shape and size to a Revere Ware lid knob. You can find the 1574 gasket here and the 1576 gasket here. 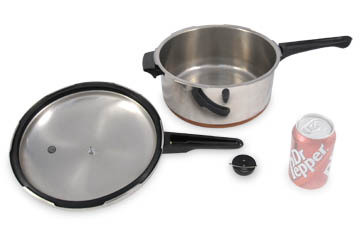 These pressure cookers also have a helper handle that is the same as the single screw handle we sell replacements for.